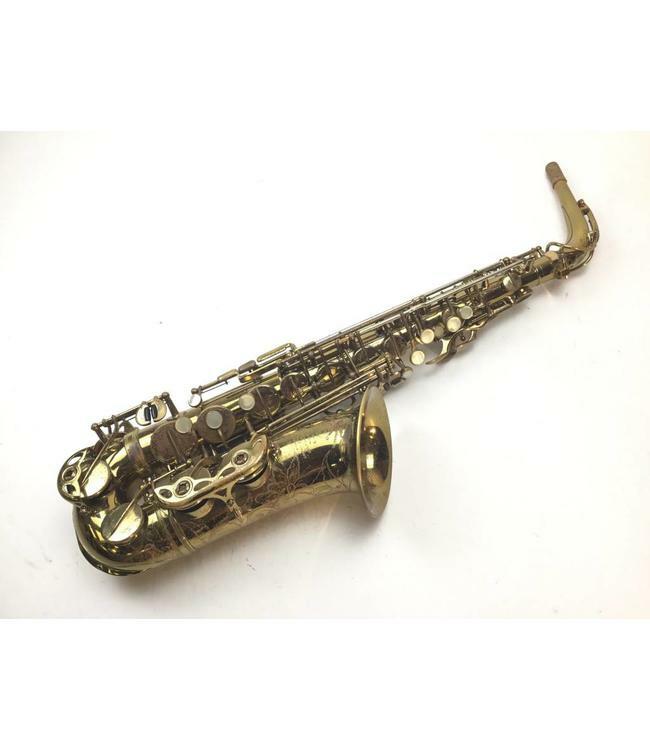 Used Selmer Super Balanced Action alto saxophone. Original lacquer around 80% Some oxidation on keys and body. This is a consignment instrument and is being sold “as is”. It is playable throughout entire range. It will however, it will need a complete repad. Comes in a Selmer tri pack case.